Ellen DeGeneres is known for her largely popular talk show “The Ellen DeGeneres Show” which has won a Daytime Emmy 2013 for “Outstanding Talk Show/Entertainment”. 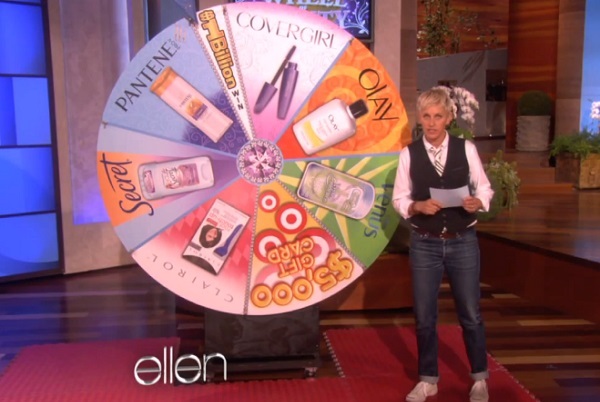 Another thing that Ellen fans know her for quite well is her love for games. More specifically, playing games like “Aw Snap” and “Pictionary” on her daily talk show, and more recently developing the App called “Heads Up”. It’s no surprise that DeGeneres may be venturing into real legitimate game show territory by developing her own game show for television outside of her daily talk show. Although it has not been confirmed yet, we have good reason to believe that this new rumor may be true. Jane Lynch who is currently hosting the “Hollywood Game Night” premiering July 11 on NBC might also be connected to the project. It appears that DeGeneres has her sights set on a new dating game show, possibly the toughest market on television. In retrospect, how many successful dating game show have there been? Not many. Going down the list of dating show failures, there’s been “Temptation Island”, “Who Wants to Marry a Millionaire”, “Baggage”, “The Choice”, “Take Me Out”, and most recent NBC’s “Ready For Love” that lasted only two episodes. Why would DeGeneres want to take this risk? Maybe her successful television track record may prove her to have the Midas touch when it comes to making a successful dating show. Her best bet might be to rejuvenate a new spin on a classic dating game show. Simple, yet entertaining. These are the games that Degeneres currently plays on her show, finding hidden objects within the studio, trivia based on pop-culture and current events, and charade-based games like “Gesstures”. How is GSN’s ‘Baggage’ a dating series failure? It lasted 3 seasons (300 episodes) and did some pretty great numbers for Game Show Network.